DURHAM, N.H. (AP) — The University of New Hampshire is celebrating J.D. 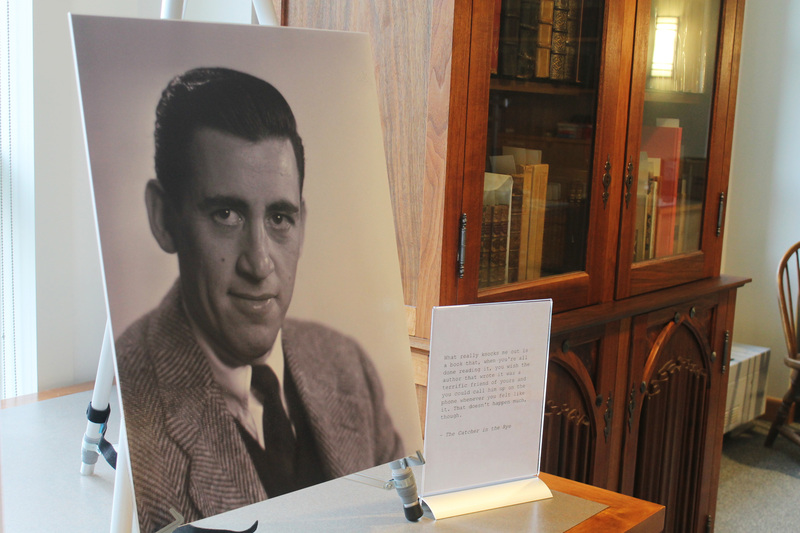 Salinger's centennial year with an exhibit he likely would have loathed: a display of previously unseen photos of the famously reclusive author. 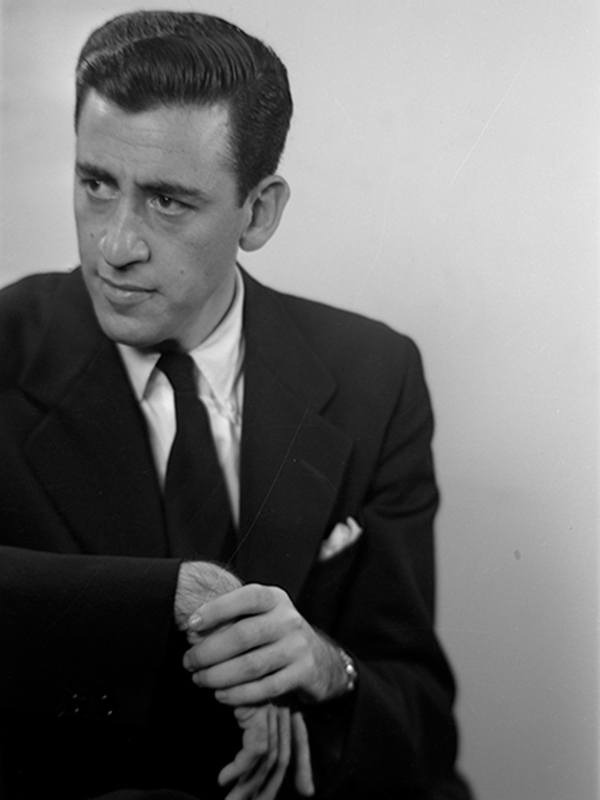 Salinger, who was born Jan. 1, 1919, and died in 2010, spent the last nearly six decades of his life far from the public eye in Cornish, New Hampshire. The photos unveiled Tuesday were taken by famed German photographer Lotte Jacobi for the book jacket of Salinger's 1951 novel "Catcher in the Rye," but he requested the picture be removed from the book after the first printing so he wouldn't be recognized. The collection of 17 images essentially doubles the number of public photos of Salinger, said Thomas Payne, associate professor of English at the university. Payne said that in today's society where "narcissism has gone viral," Salinger was ahead of his time in retreating to Cornish to "pull the wall down on human interaction." "Today, if J.D. went to Cornish ... we'd know what he was fleeing," Payne said. "The emptiness of being known but not really seen." Though he praised Salinger as someone with a "rare depth of soul," Payne also said viewing some of his work and his personal life through the lens of the current #MeToo movement is "very troubling." At age 53, Salinger wrote to an 18-year-old college student, Joyce Maynard, and invited her to live with him after reading an essay she had published in The New York Times Magazine. Maynard dropped out of Yale and lived with him for a year before he sent her packing. "That is obviously of deep concern," Payne said in an interview. "I had women writers in my life 10 years ago who, when I spoke of my love of Salinger, called me out. I didn't see what they saw enough. ... I deeply regret that I was obtuse, that I didn't see what they saw." Maynard, also an author, said Tuesday that the photos show a very different man from the one she knew. "This was a young man in possession of no small amount of ambition, publishing his first novel, and hoping very much to capture the attention of the public. The demands for privacy would come much later," she said in an email. Though she waited 25 years before publishing a book about the year she spent with Salinger before he sent her packing, she was widely criticized for violating his privacy by telling her story and for later selling the letters Salinger wrote her. In 1999, New York Times columnist Maureen Dowd called her a "predator." "I do believe the response to this book would be very different, if it were published today," said Maynard, who is now resuming her sophomore year at Yale 46 years later. Though she said Salinger's treatment of her and other behaviors call his character into question, Maynard said his books should stand apart from the writer. "You can question Salinger as a human being and still view him as a great writer," she said. "But his brilliance in no way earned him the right to be exempt from the same kinds of standards of behavior as the rest of us." Jacobi, who photographed Albert Einstein, Eleanor Roosevelt and other famous figures of the 20th century, also spent her final years in a small New Hampshire town. But unlike Salinger, who stopped publishing in 1965, she remained active well into her 80s and left nearly 50,000 negatives to the university when she died in 1990. The exhibit of her work will be on display at the University of New Hampshire library until March 29.